HBO's Game Of Thrones has already gotten to this part. “Winter is coming” are the famous words of House Stark, a grim reminder of what awaits an unsuspecting Westeros. They’ve also probably become a regular catchphrase for A Song Of Ice And Fire’s author, George R.R. Martin. 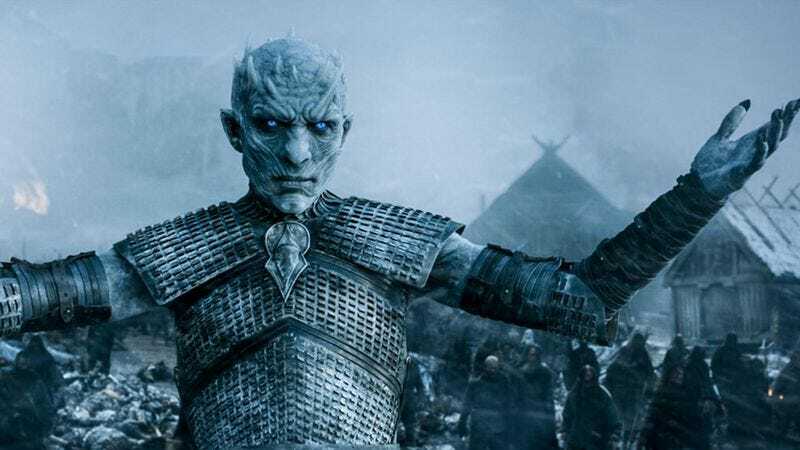 As in, “Yes, The Winds Of Winter is coming,” GRMM’s reminder that a hypothetical book awaits not only his publisher, but the HBO executives who won’t let him write any more episodes, the fans who won’t leave him alone, and presumably celebrity death pool bookmakers trying to figure out the over/under on the series being finished. Radio Host: The sixth book will be? Cuervo: It is expected next year. Radio Host: In English, but in Spanish when will it be? Cuervo: We have been promised the manuscript in advance of the release in English which we will translate, there won’t be a big difference. Radio Host: But you are equally sure it will be next year? Cuervo: Well, let’s see, confidant[sic]…but a meteor could fall. That sounds like quasi-convincing evidence that Martin is on track to have his finished manuscript out for publication next year. The internet’s foremost intelligence gathering agency, Reddit, has it on good authority that Cuervo is well known to Martin, and that this is a trusted source. One way or another, winter is coming. It is known. In the meantime, we can occupy ourselves with the consistently on-schedule HBO version of the series, the Captain Cosmos thing that might be happening, and rooting for (or against) our own real-life version of Joffrey Baratheon.